This is the second in a three-post series on the topic of “Maintaining Consistency in your Time Alone with God”. Many thanks to my author/friend who wrote this (she asked to remain anonymous…). 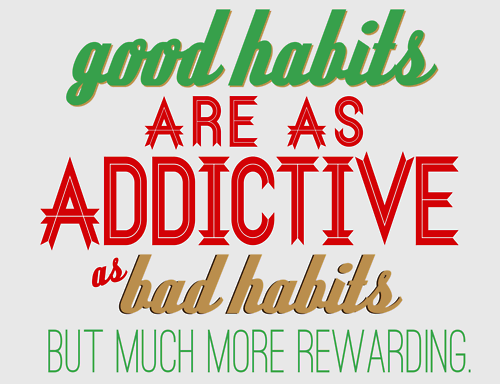 Tip #1: MAKE IT A HABIT. To start, pick a time and place and stick to that until it becomes a habit. Once it’s set as a habit – then when your schedule changes, or you are on vacation, or it’s a holiday, or maybe you just need a change in your routine – then you’ll find a different time and place to do it, because it’s become a part of your everyday activities. I believe that as Christians, we’ve already been given self-discipline (“For God did not give us the spirit of timidity, but a spirit of power, of love, and of self-discipline” -2 Timothy 1:7), we just have to know how to use it. I also believe that God gave us the practice of fasting for a variety of reasons – one of which was to help us utilize the self-discipline He’s given us. After I got married, I really struggled with having a consistent quiet time with the Lord because all of a sudden my best friend was always around when I was in the privacy of my own home! It was exciting, and I felt like there was never a good time to be away from him to do my quiet time… but I knew this wasn’t right. Even now, my schedule is different everyday – sometimes I don’t eat dinner until 9:30 – it was just hard to get into a rhythm with my time with the Lord shortly after marriage. After reading a book called Starving Jesus (read it if you haven’t! ), I decided to fast (from food) for an extended period of time. There were many things I learned during my extended fast – one of the biggest things was that I awakened that spirit of self-discipline. I knew that if I could train my physical body to deny itself of a basic necessity for a defined period of time, then I could also work into my life a pattern of consistency with being in the Word. If you’ve been walking with the Lord for a long time and still struggle with consistency in your time with Him, I encourage you to explore the idea of fasting to help activate that spirit of self-discipline. A lot of people ask me about how I’m able to be so consistent with my quiet times, and it’s not because I’m a super-Christian. It’s because I love the Lord and it’s important to me, so, over time, I have deliberately developed it into a daily habit. Going back to my breakfast metaphor from the first post, I don’t miss breakfast… ever. So after my period of fasting, even though I had fought this for so long because I’m not a morning person, I decided to spend time with the Lord in the mornings, while having my breakfast. Now hear me: I hate, hate, HATE mornings!, but it’s easy to keep my quiet time consistent, because like I said, I don’t miss breakfast! Tip #2: Pick a place away from distractions. Turn off the TV, turn off your phone, turn off the world for a short amount of time. We already live in a world full of distractions, but also the enemy doesn’t want us growing closer to the Lord, so he’ll try to add distractions – especially when you’re trying to spend time with Jesus. Do your best to isolate yourself from those things that most tug at your attention. 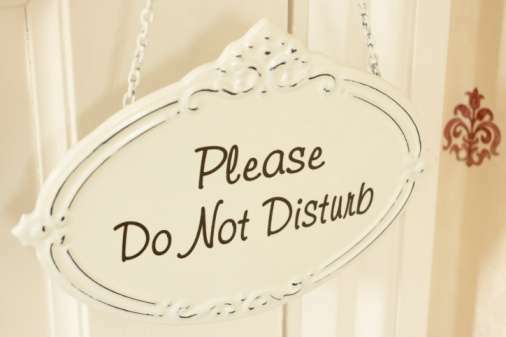 When I was in high school, because my mom had modeled for me the importance of being in the Word daily, I knew she’d understand that I wanted to have alone time with the Lord – time without someone knocking on my door to talk to me about something. So, I found this cross bookmark from my VBS days and tied a string around it. I told my family that if the cross was on the outside door knob of my room, that if it was something that could wait, I’d love them to not bother me for that time period. Whatever you do, try your best to protect the time you have with the Lord. It’s like a date (He is our first love after all). None of us would go on a date with someone we were really in to, and allow for multiple phone calls and texts, or spend more time looking at the TVs in the restaurant than into the eyes of our date! I’ll share three more tips for maintaining consistency in your time alone with God in the next post!